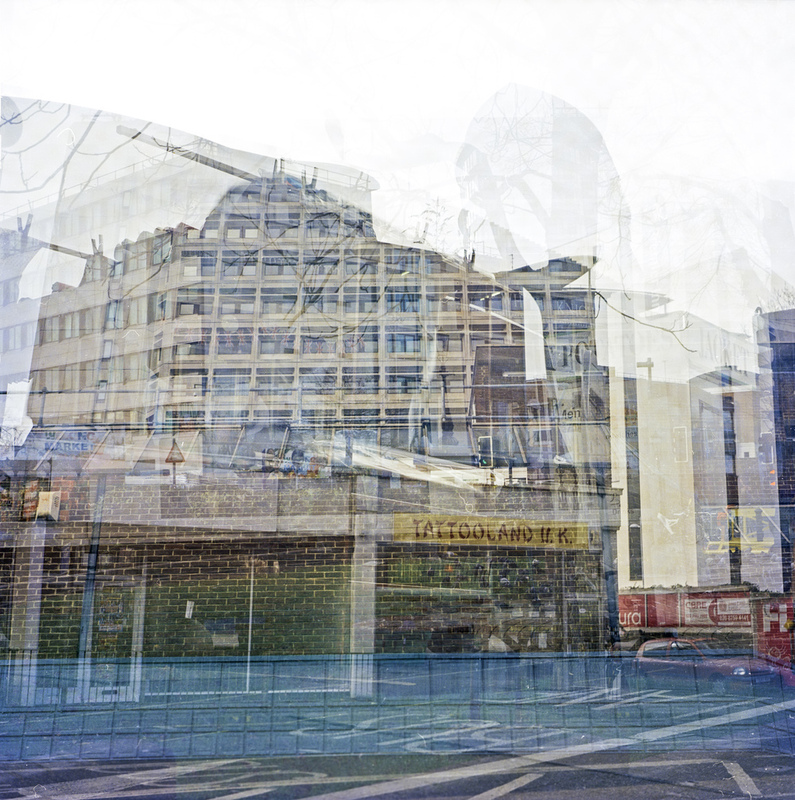 Urban Traces is a series of medium format multiple exposures combining elements of chance and interpretation in the urban environment. 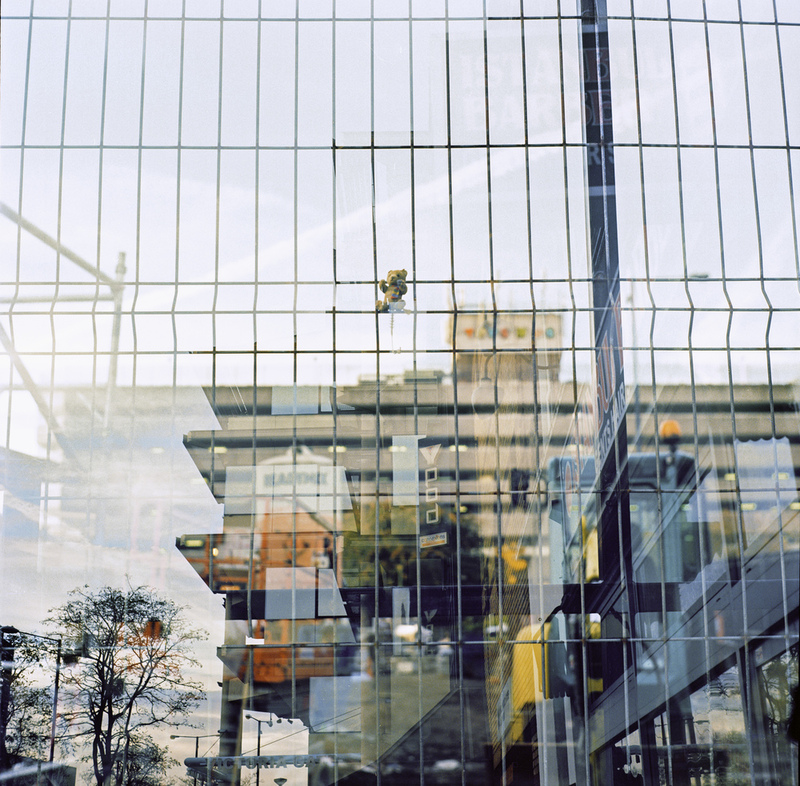 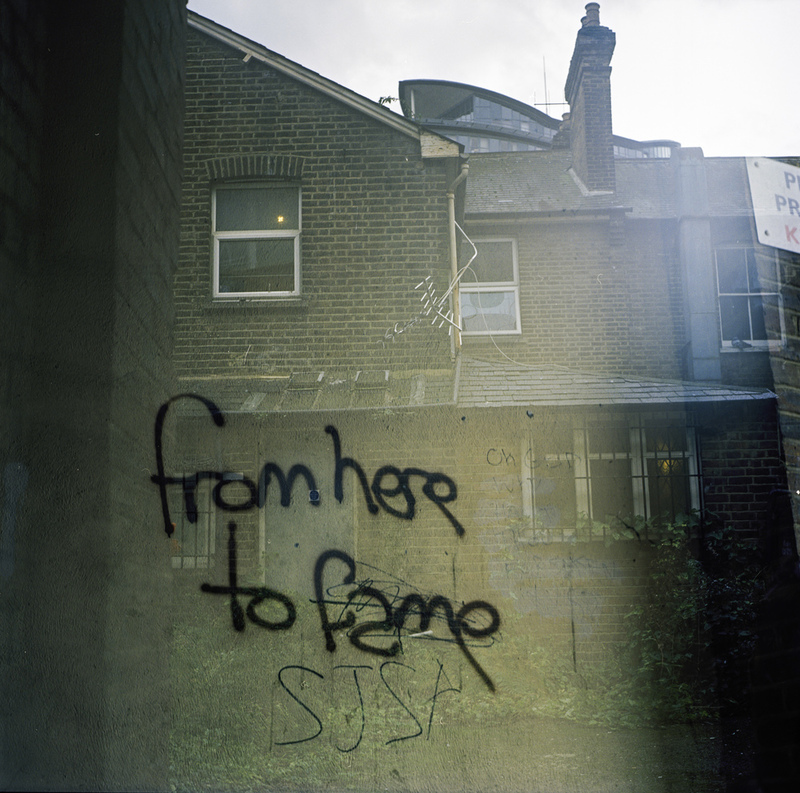 The work was created in the growing town of Woking, Surrey and intends to capture the sense of a place in constant transition, with buildings frequently being redeveloped. 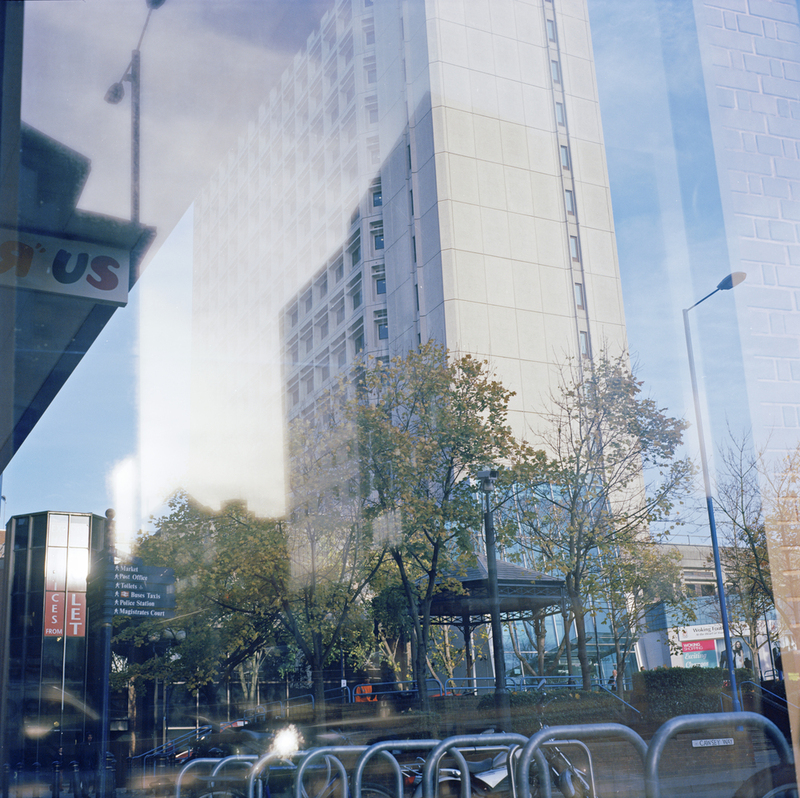 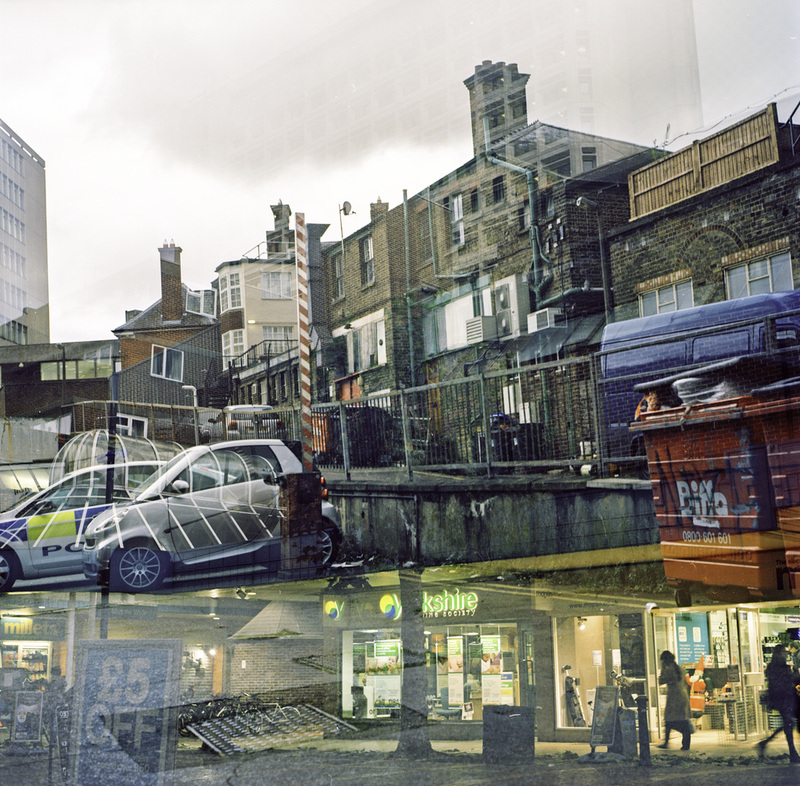 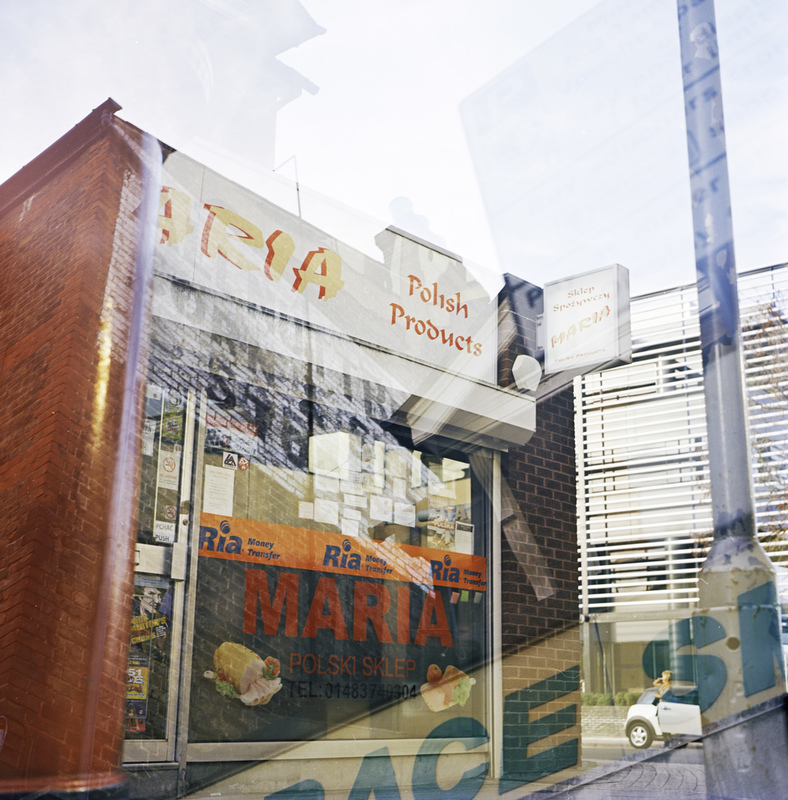 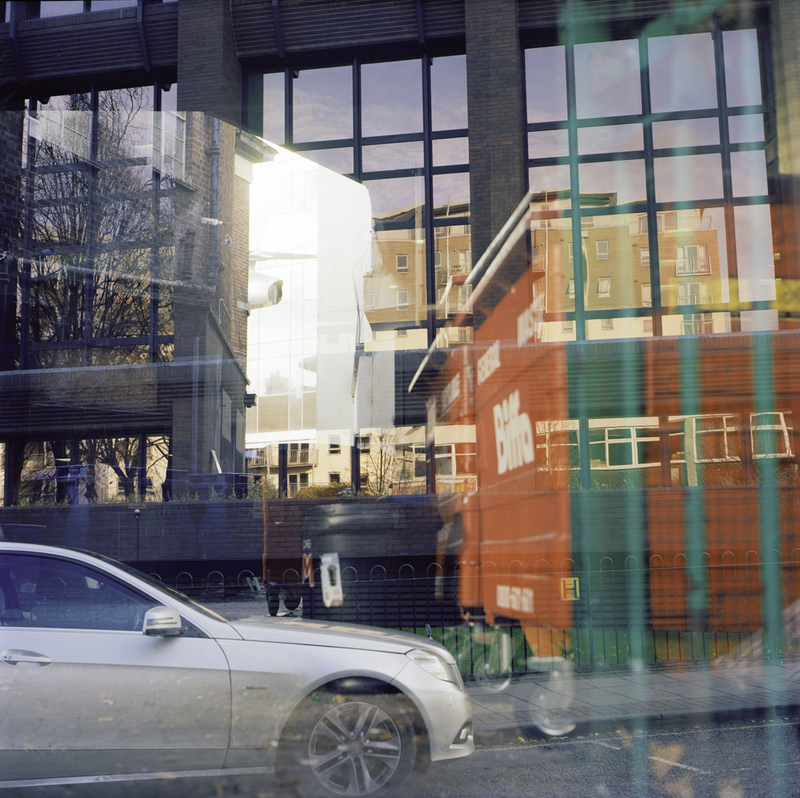 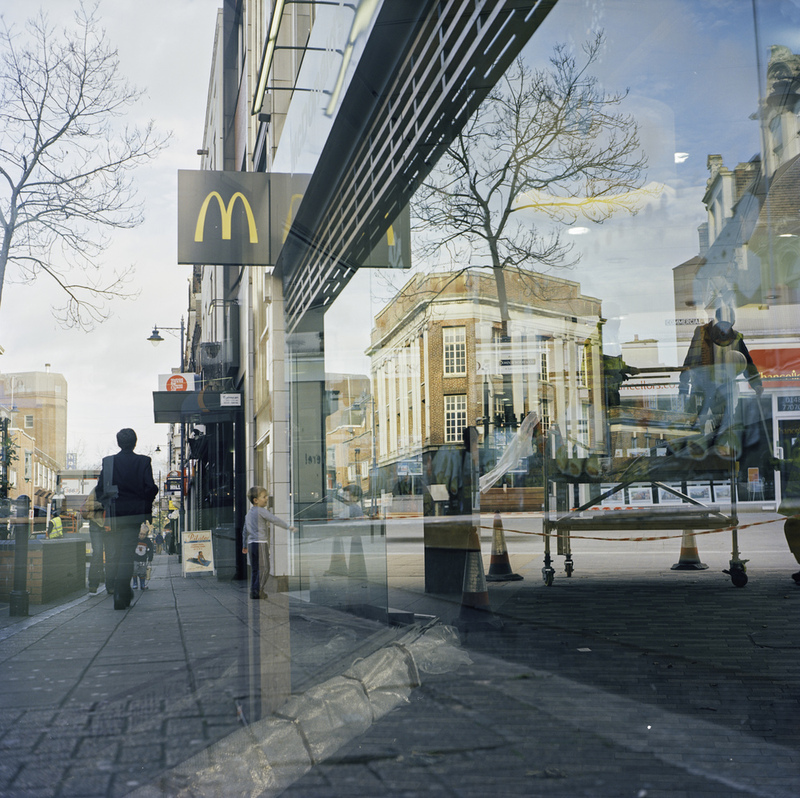 The multiple exposures express this sense of urban dislocation with the loss of clarity as multiple elements overlap each other. 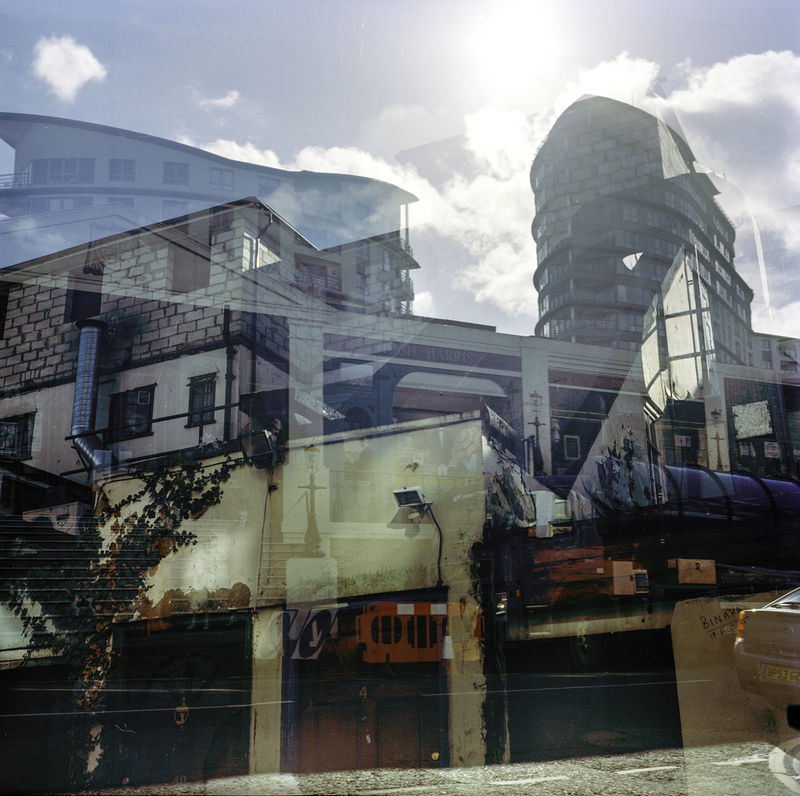 These distorted photographs have a transient quality to them, reflecting a constant state of flux that permeates the urban environment.